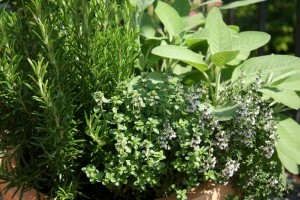 When you are ready to begin planting herbs, you might be tempted to buy the more expensive plants from the store. However, with herbs it is much easier to grow them from seed than it is with other plants. Therefore you can save a bundle of money by sticking with seed packets. Some herbs grow at a dangerously fast rate. For example, if you plant a mint plant in an open space then it will take over your entire garden in a matter of days. So if you enjoy herbs or gardening, or both, then you should probably consider setting up an herb garden. It might require a little bit of work at first to set it up for optimal drainage, and pick what herbs you want to grow. But after the initial hassle, it’s just a matter of harvesting and drying all your favorite herbs.